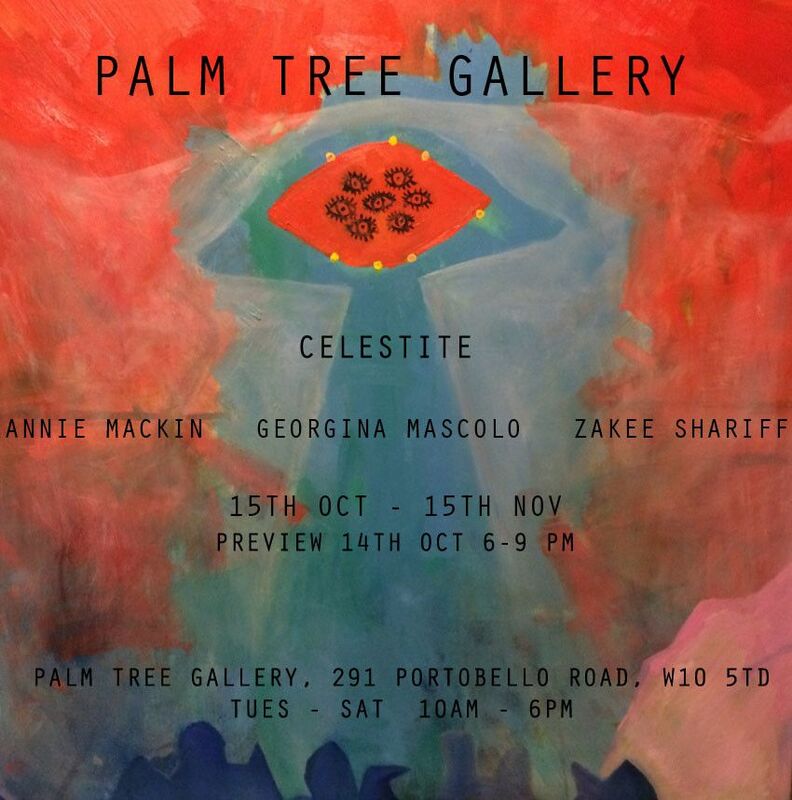 Celestite is the first exhibition to be held in Palm Tree gallery, a new space coined as a ‘canopy of creativity’ where emerging talents in fine art and design will be nurtured and a diverse program of innovative projects will take place. This inaugural exhibition brings together three artists whose mixed media work relates to the mystical and often intangible marvels of our worlds. 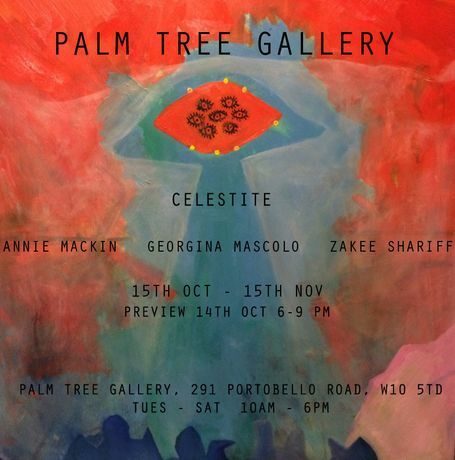 Georgina Mascolo will be exhibiting an installation made up of her recent series of aura photographs taken using the Aura Cam 600 designed by Guy Coggins in the 1970s. Annie Mackin’s oil paintings are abstract visions of reality and fantasy colliding in spectacular revelation of colours and patterns. Zakee Shariff’s work for this exhibition mostly depicts crystals, one of the earth’s natural restorers.